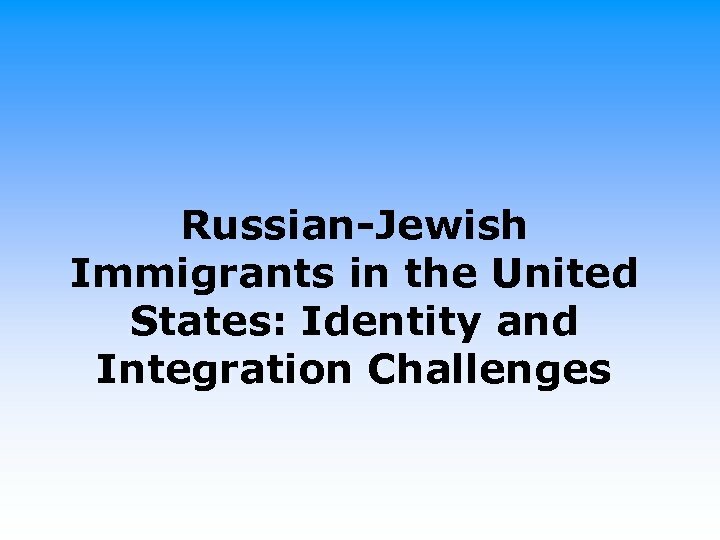 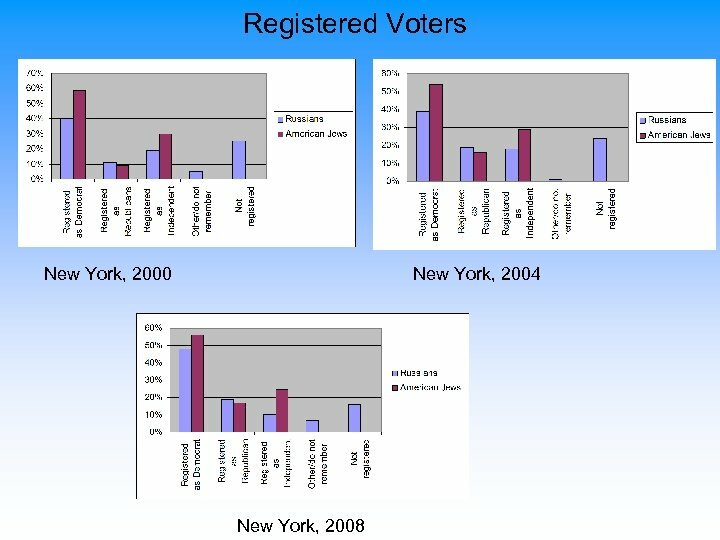 Russian-Jewish Immigration to the United States Facts and Figures • Today an estimate of 350, 000 Russian-speaking immigrants live in New York • About 750, 000 Russian-speaking immigrants live in the U. S. • Russian speakers make up 19 % of the Jews in the five boroughs of New York City [The Jewish Community Study 2002]. 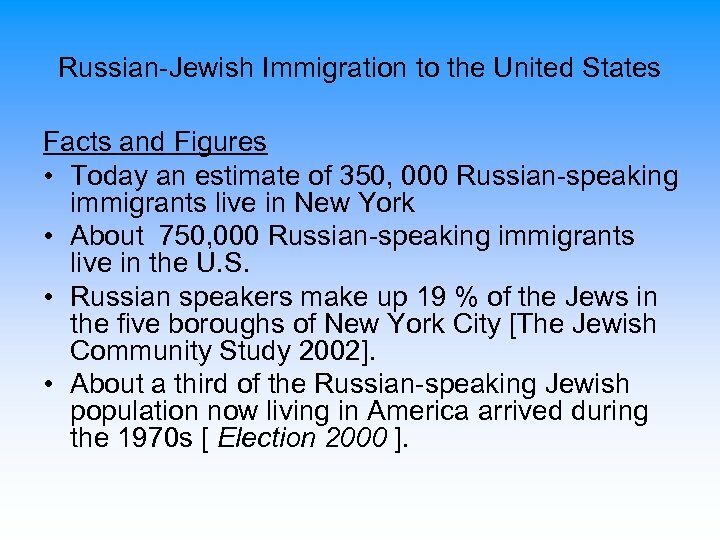 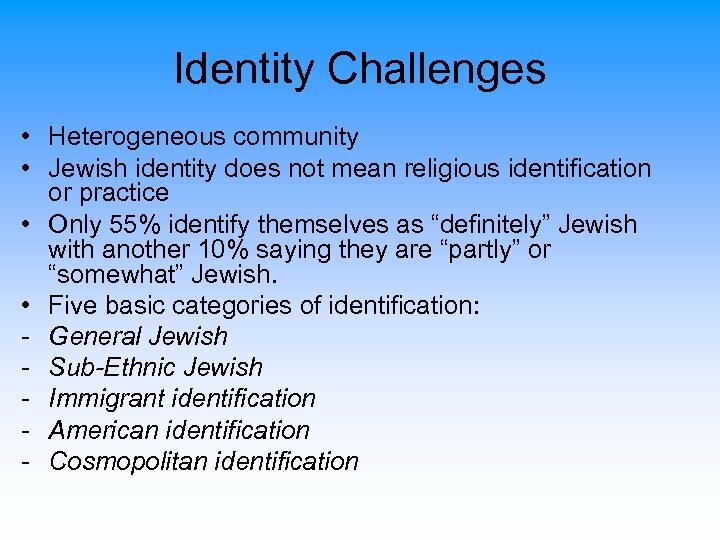 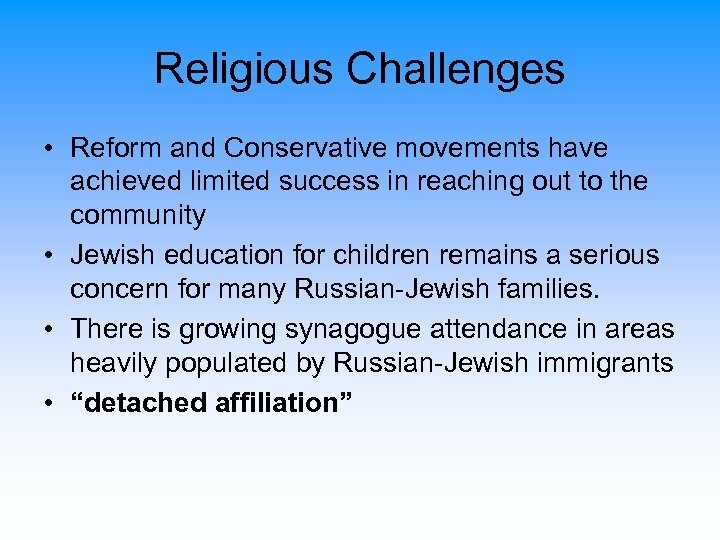 • About a third of the Russian-speaking Jewish population now living in America arrived during the 1970 s [ Election 2000 ]. 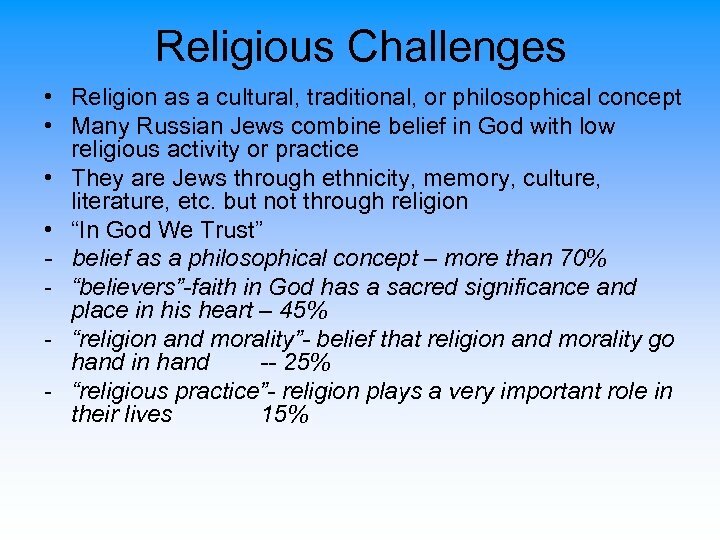 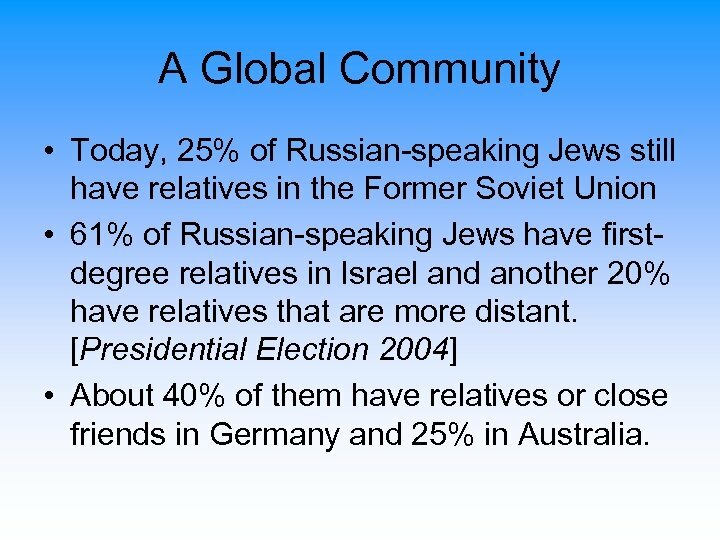 A Global Community • Today, 25% of Russian-speaking Jews still have relatives in the Former Soviet Union • 61% of Russian-speaking Jews have firstdegree relatives in Israel and another 20% have relatives that are more distant. 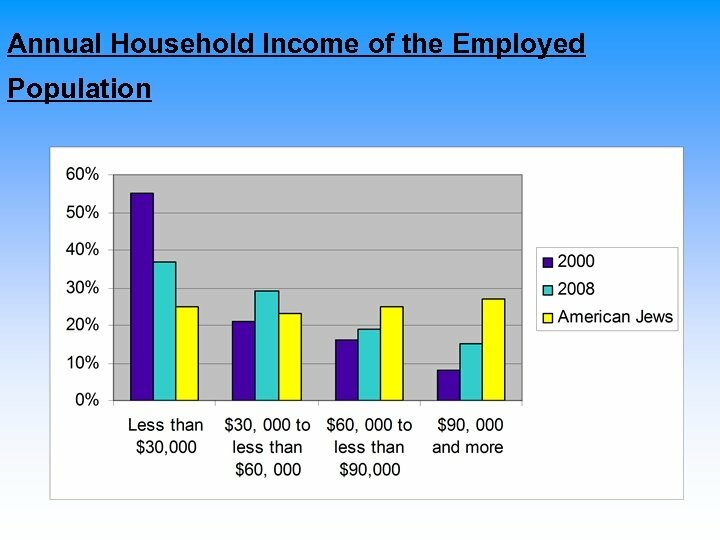 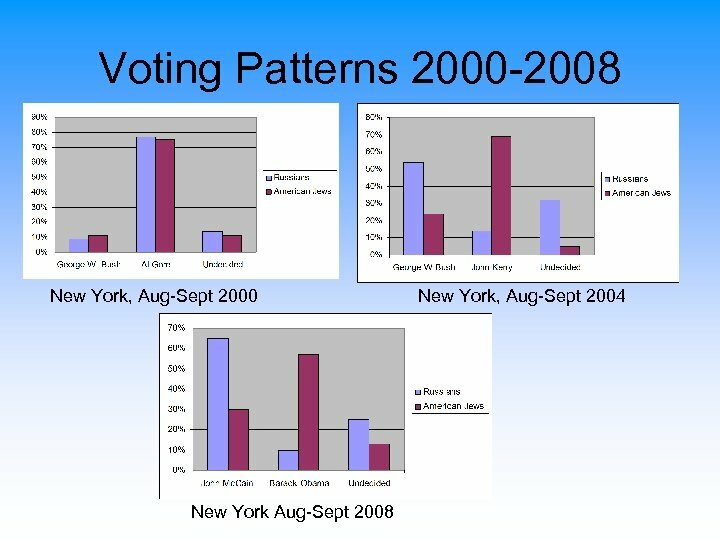 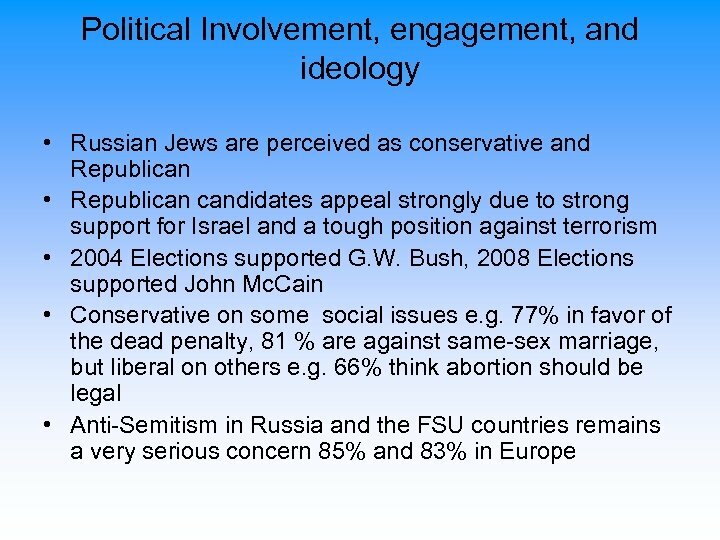 [Presidential Election 2004] • About 40% of them have relatives or close friends in Germany and 25% in Australia. 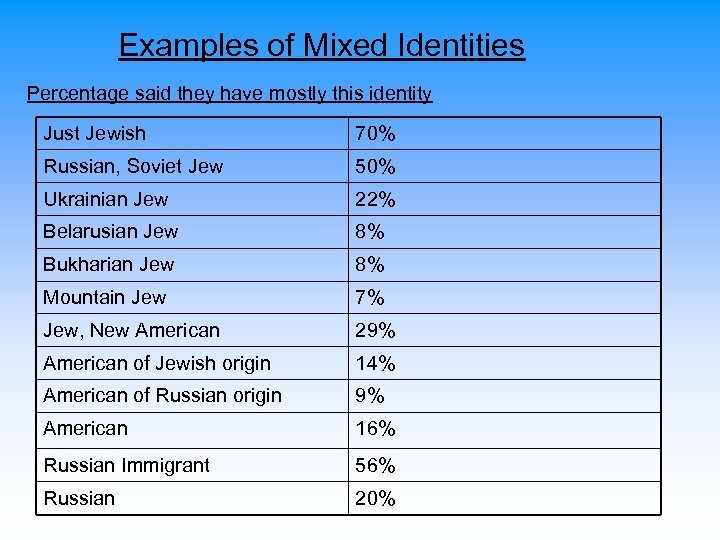 “The Future Belongs to Me” • For how long the 1. 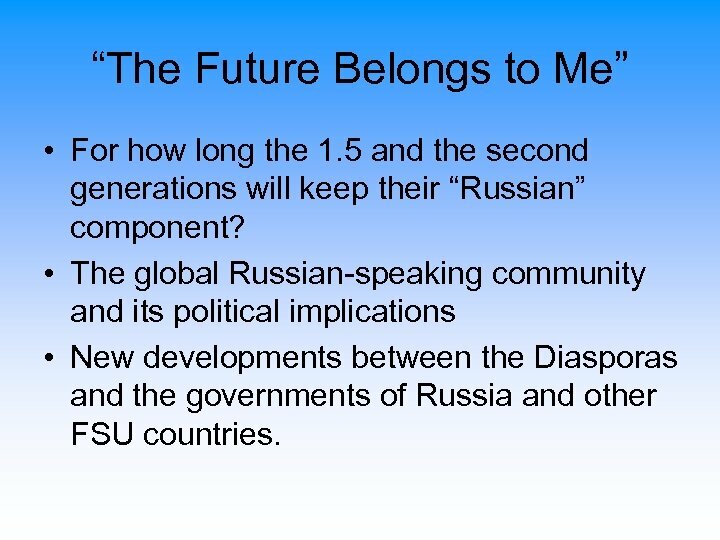 5 and the second generations will keep their “Russian” component? 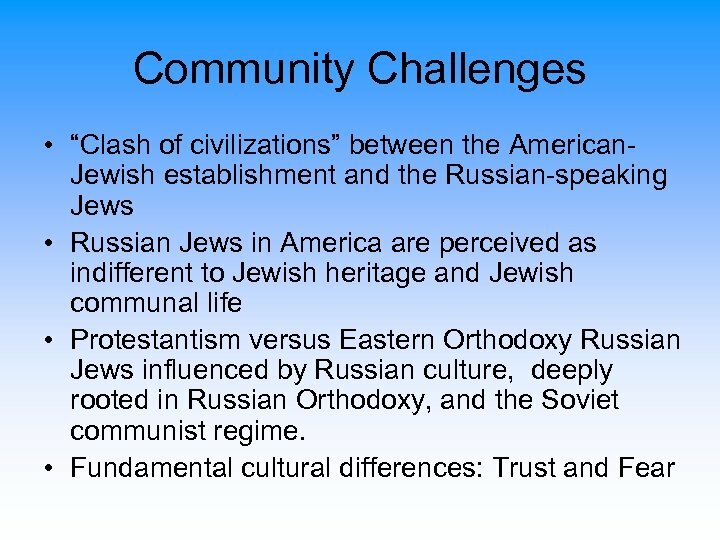 • The global Russian-speaking community and its political implications • New developments between the Diasporas and the governments of Russia and other FSU countries.